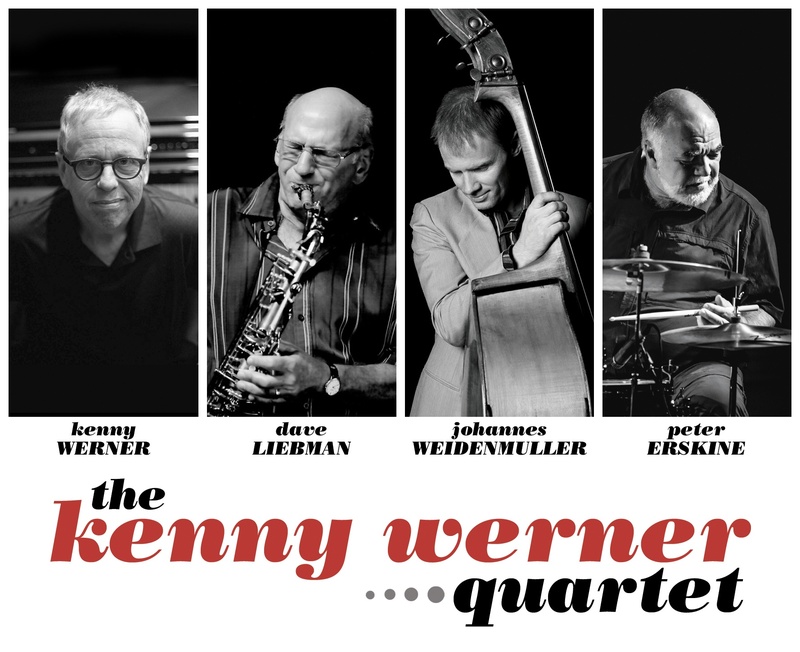 The super jazz group, in the real sense of the word, is led by Kenny Werner, who is also the saxophonist Dave Liebman and drummer Peter Erskine, as well as one of the most sought after double bassist in the US – German Johannes Weidenmuller – will have one of the first joint concerts in Nisville, on the final night of the festival, on Sunday, August 11th. From Boston, Kenny traveled to Brazil with the saxophonist Victor Assis Brasil. There he met Victor’s twin brother, Brazilian pianist Joao Assis Brasil. He studied with Joao, who provided another piece of the puzzle for Kenny’s conception that would lead to Effortless Mastery, his landmark opus on how to allow the master musician from within to manifest. The book, is now available as an ebook on kindle and in Ibooks. NEA JAZZ MASTER, saxophonist David Liebman was born in Brooklyn, New York on September 4, 1946. After contracting polio as a small child, he began classical piano lessons at the age of nine and clarinet/saxophone by twelve. His interest in jazz was sparked by seeing John Coltrane perform live in New York City clubs such as Birdland, Village Vanguard and the Half Note. Throughout high school and college, Liebman pursued his jazz interest by studying with saxophone guru Joe Allard (other Allard alumni are Eddie Daniels, Mike Brecker, Steve Grossman, Harry Carney) as well as jazz musicians Lennie Tristano and Charles Lloyd. Upon graduation from New York University (with a degree in American History), he began to seriously devote himself to the full time pursuit of being a jazz artist. Over the past decades, Lieb has often been featured with top European musicians such as Joachim Kuhn, Daniel Humair, Paolo Fresu, Jon Christensen, Bobo Stenson, Michel Portal, Wolfgang Reisinger and Jean-Paul Celea among others. His reputation in Europe has led to big band and radio orchestra performances with the WDR in Koln, Germany; NDR in Hamburg, HR Big Band in Frankfurt, the Metropole Orchestra, Netherlands. Also as a result of Liebman’s eclecticism he has also been featured with progressive classical groups like Klangforum in Vienna, Avanti from Helsinki, Finland and most notably with theEnsemble Intercontemporain from Paris….eventful because it was the first time a jazz improviser was invited to play with the prestigious group founded by Pierre Boulez. On all occasions the music was specially commissioned to feature Lieb’s unique soprano saxophone style. David has been featured on over five hundred recordings, of which he has been the leader or co-leader on nearly two hundred with several hundred original compositions written and recorded. His artistic output has ranged from straight ahead classic jazz to chamber music; from fusion to avant garde and world music. Other ongoing performing/recording combinations include the group Different But the Samefeaturing saxophonist Ellery Eskelin, drummer Jim Black and bassist Tony Marino; the “We3” trio with bassist/composer extraordinaire Steve Swallow and long time Lieb associate Adam Nussbaum on drums; duo work with both pianists Phil Markowitz and Marc Copland. His teaching activities at universities and in clinic settings have taken him literally around the world as a result of his varied musical directions and expertise on several instruments, along with an ability to articulate the intricacies of the jazz language, aesthetic and technique. Over the years, he has regularly received grantees to study with him funded by the NEA (U.S.), the Canadian Arts Council, as well as arts councils of numerous European countries. In 1989 he founded the International Association of Schools of Jazz (IASJ), an organization dedicated to networking educators and students from international jazz schools through periodic meetings, exchange programs and newsletters. Liebman presently serves as the Artistic Director of the IASJ and a teacher at the Manhattan School of Music, NYC; Guest Lecturer at the Global Jazz Institute at the Berklee School in Boston. He has consistently placed among the top three finalists of the Downbeat Critics Poll since 1973 in the Soprano Saxophone category, gaining the top place several times in polls conducted by the magazines Jazz Ed and Jazz Times. Lieb is the recipient of an Honorary Doctorate from the Sibelius Academy (Helsinki, Finland); the Order of Arts and Letters (France); and the NEA Jazz Master award which is the highest accolade granted by the U.S. government in the jazz field (2011).